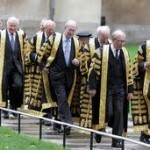 The thorny issue of judicial appointments is likely to raise its head once again in the coming weeks, as speculation grows over the two new appointments to the Supreme Court, and the resumption of the judicial appointments hearings by the House of Lords Constitution Committee, which is evaluating the whole process whereby judges are appointed. The hearings will resume on Wednesday, when Lord Mackay, Lord Falconer and Jack Straw will be giving evidence. The opinions of no less than three former Lord Chancellors, two of whom oversaw significant changes to the judicial system while in office, should make an interesting session. It will be interesting to see whether Lord Falconer’s current views are the same as those expressed five years ago, and how his recognition that judges are increasingly expected to provide judicial answers to political issues affects his views on judicial appointments and the role of politicians in the appointments process. Jack Straw will also no doubt also have some strong opinions, given his clashes with senior law lords over the decision in A and Others (the Belmarsh case) in 2004. A useful summary of the previous constitutional committee hearings can be found here. Looking ahead, Joshua Rozenberg in The Guardian is already suggesting who might replace Lord Phillips as President of the Court when he retires in September 2012. Rozenberg suggests that the there are three possibilities within the Court itself, Lady Hale, Lord Mance and Lord Clarke, but that the real dark horse and favourite for the job is Lord Neuberger, currently the Master of the Rolls. Rozenberg suggests that if Neuberger were to take the job it would show that the Supreme Court “has come of age” but that a Court headed by him would be constitutionally conservative given his staunch support for the absolute sovereignty of Parliament. What is certain is that with three major appointments coming up, the scrutiny of the Constitution Committee, and given the fact that following the 2005 Constitutional Reform Act “The pool of potentials had been extended hugely – and what was the result. Well, two posh old chaps” the Supreme Court’s judicial appointments process is likely to be acrefully watched over the coming months. 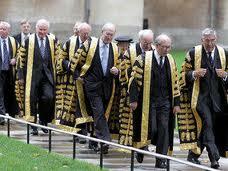 Leave a reply on "Judicial appointments in the spotlight"